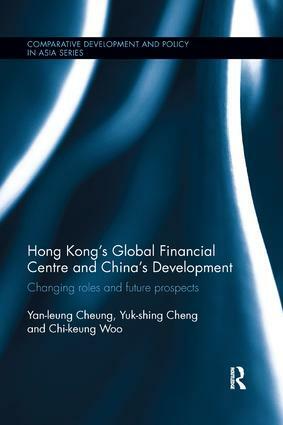 This book provides an overview of Hong Kong’s role as an international financial centre, focusing especially on how Hong Kong has contributed significantly, and continues to contribute significantly, to China’s economic development. It considers the importance of Hong Kong’s stock market in raising finance for Chinese companies, explores the potential of Hong Kong as an offshore financial centre, and discusses recent regulatory reforms. It concludes by assessing the prospects for Hong Kong’s continuing success as a global financial centre, and puts forward recommendations for policies which would help secure continuing success.